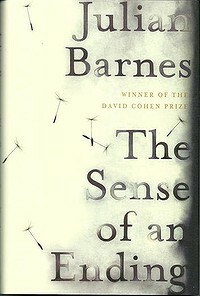 Home » Book Reviews » The Sense of an Ending – Julian Barnes. Clues for the clueless. The Sense of an Ending – Julian Barnes. Clues for the clueless. And so reverberates the recurring theme around the head of One Anthony (Tony) Webster, a remarkably self-obsessed older male who cruises through life, largely by refusing to pause and reflect on the lives of others, therefore avoiding having to deal properly with any of them. If he does pause and reflect on others it is purely and complete to examine how they feel about him or to interpret their behaviours toward him through the lens of what they think of him. While this is charming and typical in an adolescent its irritating and rather appalling in a much older man. This is one of those novels where the protagonist, unlikable as he is, appeals to my sympathies. From this angle, the novel (novella really) reminded me a lot of Disgrace. 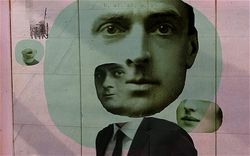 In both novels the man at the centre of the narrative (in both cases the narrative is the internal monologue) has almost no ability to relate to the people around him. However, in Disgrace this is not a problem for the protagonist who sees himself as largely superior to those around him. Tony Webster lives with the faint notion everyone is judging him and finding him wanting. And it turns out, they are. But this is not the main point of the novella. This is more a brief meditation of the notion of time, rationality and memory and how we are able to get a grasp on ourselves in relation to the world around us. The novella is divided into two parts. In the first part, Tony gives us a short history of his youth that he shares with three friends, one of whom is Adrien Finn, a young man Tony recognises as intellectually superior and therefore, Tony assumes, more rational. Tony relates sweet, funny, philosophical anecdotes of his youth with his friends that lead inevitably to college and study and life and girls. Once in college, Tony dates a woman named Veronica Ford. Tony is awkward and self-conscious in the relationship and can’t get a grasp on Veronica, a woman he will later describe as mysterious. He introduces her to his friends and he then spends an uncomfortable weekend at her home meeting her condescending father and brother and her warm mother. Inevitably Tony and Veronica break up, and not long after, Tony receives a letter from Adrian asking for his blessing as he is now dating Veronica. Tony is put out, but responds with his blessing. Three months later, Adrien commits suicide. It is at the other end of Tony’s life, that he receives a letter from a lawyers informing him that he has been left 500 pounds and Adrien’s diary in the will of Veronica’s mother. In the years in between, Tony has married, had a child, lived a quiet life, divorced and carried on in a peaceful way. The letter sets the cat amongst the pidgins in Tony’s mind, for he can’t think why these may have been bequeathed to him. And so he begins a special kind of journey into himself, misreading everyone along the way, including himself, untill the truth of the situation literally stumbles into him. 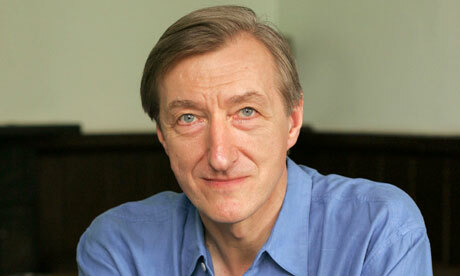 Julian Barnes uses the unreliable narrator technique to create a suspenseful novel that calls into the question the reliability of history, particularly the history that relates to ourselves. When you remember your past, does your ego distill or distort the recreated event? Or were you an unreliable witness in the first place? This is a novel that plays with many literary ideas (the title is based on a work of literary theory by Frank Kermode) as well as some analytical philosophical ideas. Tony likes to think his interpretation of the world is based on his awareness of what his senses deliver. And yet, even this analysis can’t always be trusted, particularly when dealt the harsh blow of ego infused time and its lies. I found Tony to be an unlikable character and his inability to let others in annoying. He is entirely self obsessed to the point of solipsism. However, the twist that is left (literally) for the last page, and the undeniable skill of Julian Barnes make the novella so readable that I wanted to know what was going to happen to this deeply silly man. I wouldn’t call this novel brilliant, but it is extremely readable and certainly enjoyable. Mr Barnes writes so beautifully it is almost its own pleasure to read, dwell and hover over every jewel of a sentence. While it is not particularly pleasant being in the soul of Tony, it is a most welcome ride to hold Julian’s hand through this narrative, despite his desire to impress me. The truth is, I was impressed. I was impressed by the beauty of his skill with the craft and that is an excellent reason to enjoy this read. Finally, I should add this novella has been short listed for the Booker Prize for fiction and the winner will be announced October 18. Apparently the choice this year was heavily based on readable fiction. If that is the criteria, this is a very hot contender.